Our pottery class is in the books. While I still plan to make quite a bit more, I won’t have direct access to a wheel or kilns any more. This year has been a grand experiment with slipcasting, and been learning through a lot of failures what NOT to do. But, I came back from the Philippines to some of my final product! From left to right – Clear Maroon, Weathered Bronze, Cappuccino Mist, Floating Blue, Bamboo exterior with Toffee interior. I leave this morning for Manila. 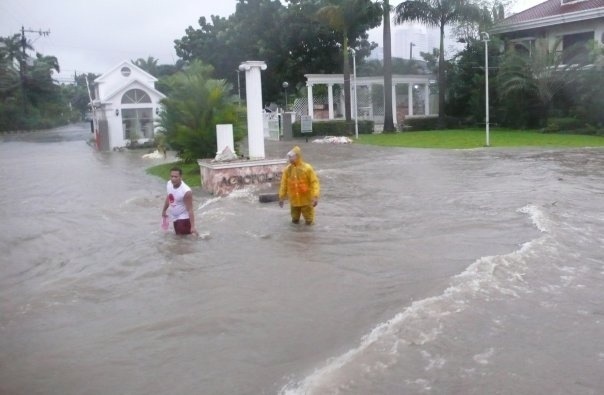 The last time I was there, it was during a Typhoon and the water was up to your chest in some areas. I’m praying for calmer weather this week. I’ll try to post a few pictures and thoughts in the evenings. Be well! 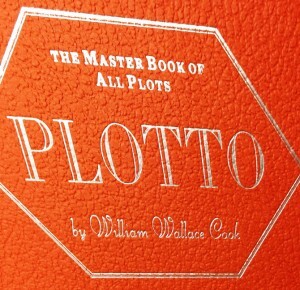 That was how the Boston Globe announced the publication of Plotto in 1928. The author, William Wallace Cook, was an astonishingly prolific writer. In his best year, he pushed out 54 dime novels. When he finally retired from writing fiction he turned to real life, clipping directly from the headlines, distilling the stories onto cards. His idea was to write a plot generator so that others could follow his suit, using the seeds of stories in this book to mass manufacture their own works. And people did. 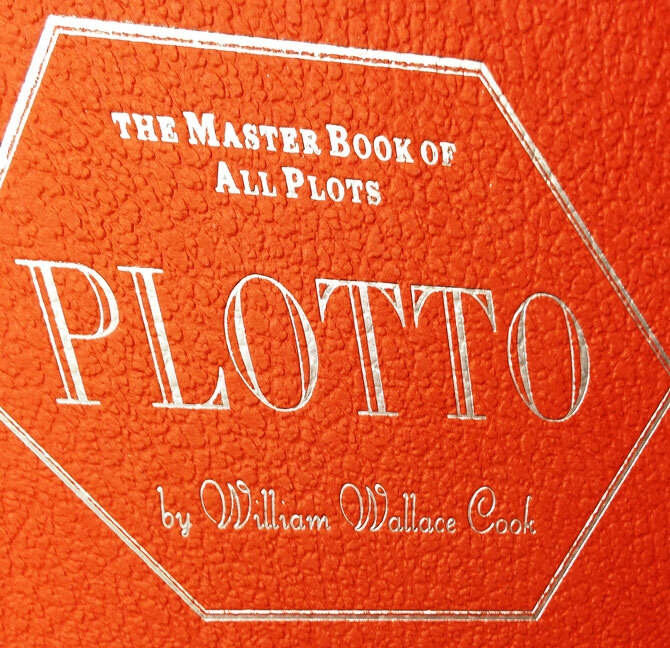 Erle Stanley Gardner, the man behind Perry Mason, used Plotto. So did a a young Hitchcock, just starting into his directing career. I picked up the book a few years ago, and have used it once or twice as the seed to a story. My creative method involves jamming different things together and seeing what sticks, a method I happily steal from Orson Scott Card. When I have two things that will mix well, but I know I need another ingredient, I sometimes pick up Plotto and generate an interesting sequence of events to add to the blend. What does that look like? Well lets do a Plotto demo. There is a deeper method to this, but I prefer to start at random. Here’s our setup. Our main character, whom we will call “Alan”* is trying to find his inheritance, which his father has stashed away. And, just like a Choose Your Own Adventure, we pick a number and off we go. * Plotto always refers to the leading man as “A” and the leading woman as “B.” Yes, William Wallace Cook was a product of the 1800s. Don’t blame me. Alan fell into a ditch. Or a gorge. Or a canyon. What will he find at the bottom? Off to story seed 1409! Turns out there’s a mysterious locked room at the bottom of the chasm. Uh-oh. Alan takes something from the room which turns out to be contraband! Four or five steps is usually enough. I’ve used Plotto twice for a story, and the little “story snippet” that I generate never remains intact. I use this as a prompt, and then ditch most of the details and decide what makes the most sense for the characters and for a good read. If you have trouble with “what comes next?”, maybe Plotto can give you a jumpstart. researchers at three British universities tracked the use of “mood” words sorted into six main categories: anger, disgust, fear, joy, sadness and surprise. The researchers identified a “clear decrease” in overall use of mood words over the 20th century, with only words relating to fear increasing in the last several decades. As I mentioned in the last post, with pottery you have lots of ways to screw up your piece. 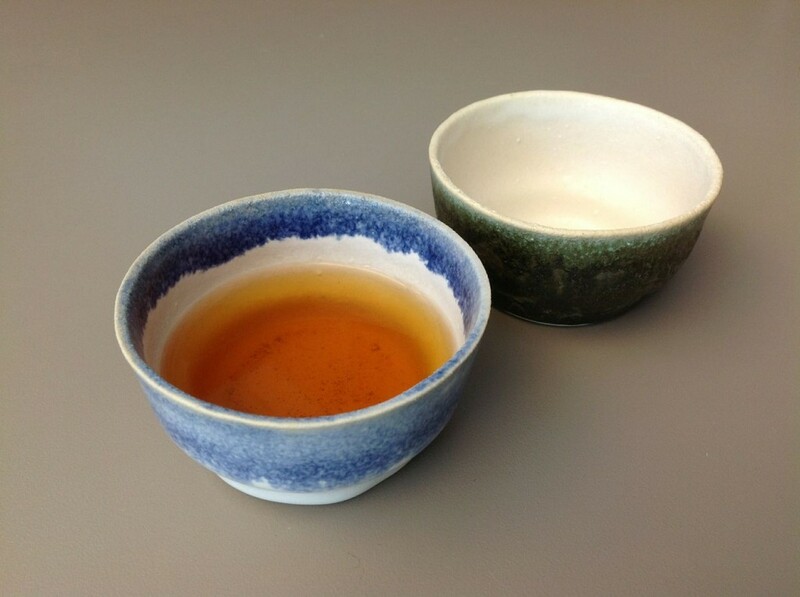 With the two cups below, I discovered one more of those ways. 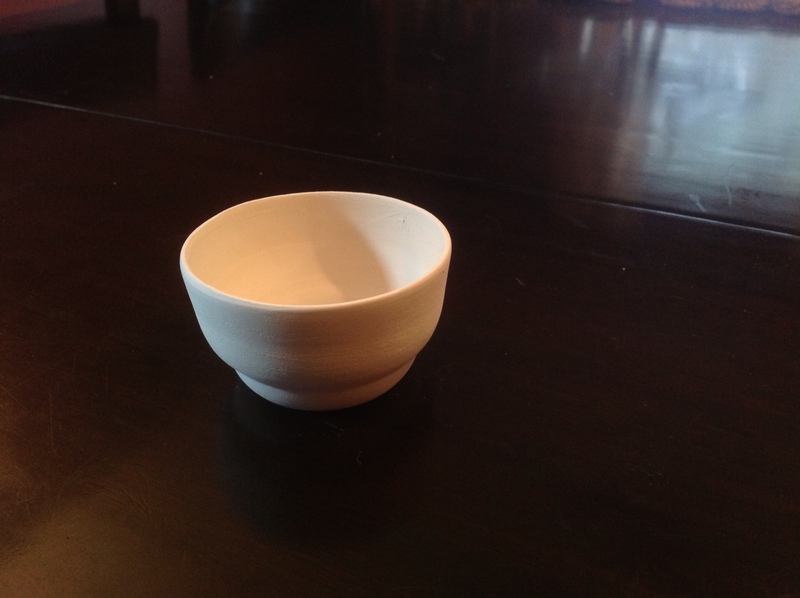 #1 – Great White glaze with Sapphire rim. #2 – Weathered Bronze with white interior. These are cups that I’ve been slipcasting from a mold I made. I’ve been using Laguna White Star slip to make the cups, and have loved how sturdy they are when they pop out of the mold. Now, a lot of things “bisque fire” at the same temperature. This is the first firing, the one before you start glazing it. Then, your glaze firings can be all over the place. Here is where I got confused. My clay was labeled for glazing at something called “Cone 05” (with a Zero) – around 1800 degrees. I had instead been firing them to the very confusingly named “Cone 5” (without a Zero) which can be up to 2200 degrees. You can see it above, but that extra 300 degrees meant that my clay was actually starting to bubble and melt right along the rim. I’ll take full responsibility for misreading my clay, but it’s still a dumb naming convention. Seriously. Anyway, I’m hoping the next batch comes out better. There’s always a new way to fail with pottery, but I’m learning. I’m also looking into creating a new set of cups that start not on the wheel, but in virtual space. The following cups are just 3D models now, but thanks to a new store in Denver, they might soon be real. More to come on that process. Center. Get it on the wheel, get it moving fast and put a lot of pressure on it. You want to make sure that you get balance, because the next steps will fall apart if you wobble here. 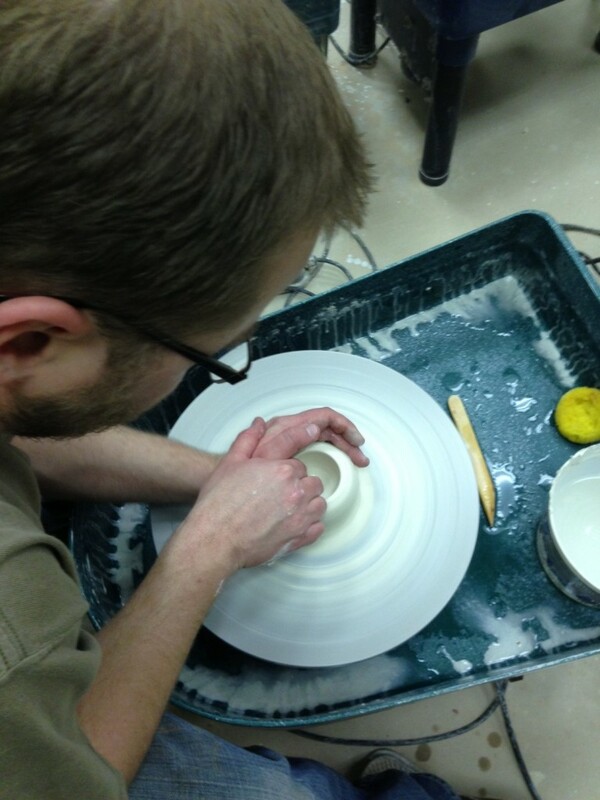 Drill into the piece, creating the central structure. Lift. Make decisions about shape and function. First firing. Your first glimpse of how the piece reacts to heat. Potential for cracking or shrinking. Glaze. Put the finishing touches on it and send it back into the kiln for another firing. 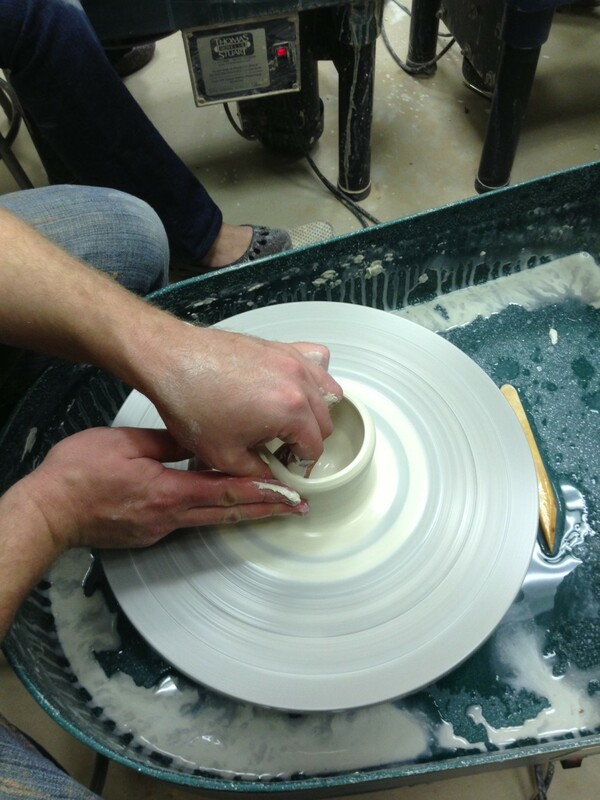 This is our second year taking pottery classes. 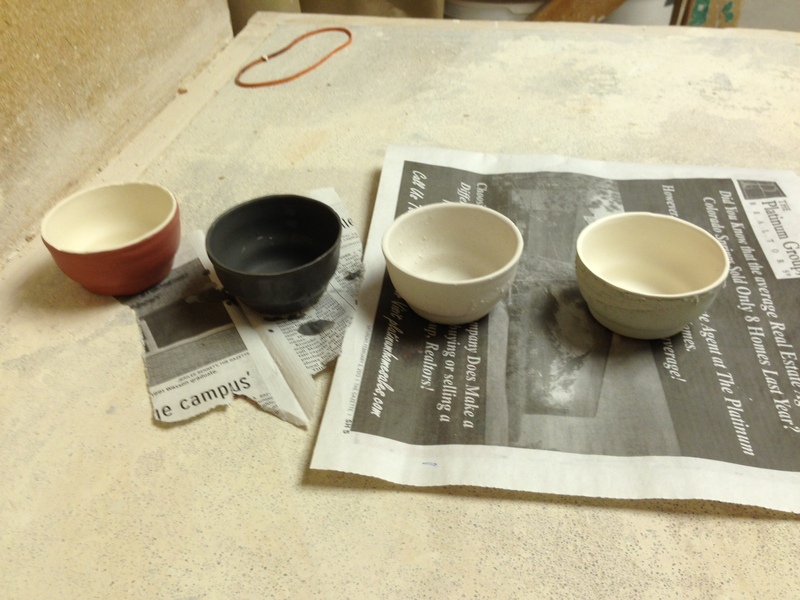 The wonderful (and frustrating) thing about pottery is all the steps you take to get to a finished product. Wonderful, because at each step you get to make decisions about a very tangible and real physical shape that you are making. Frustrating because at any of those stages, something can and often will go wrong. 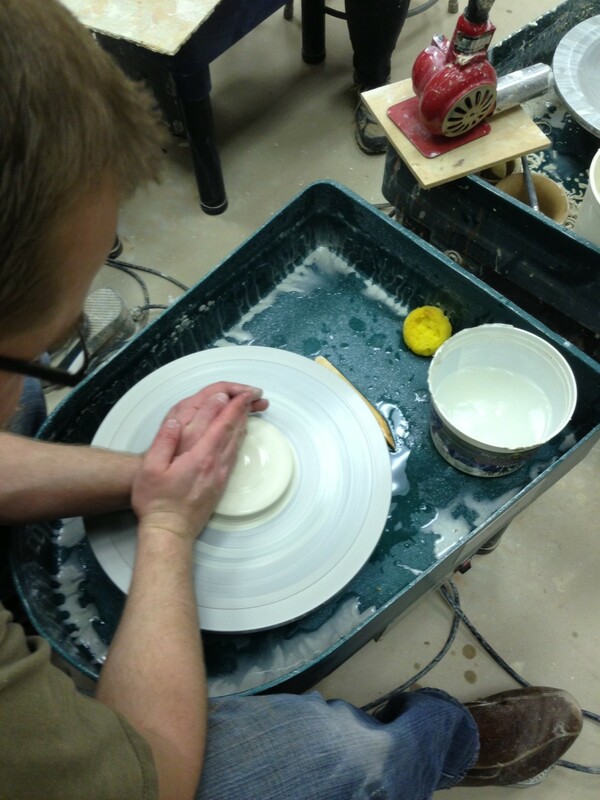 There are lots of “learning opportunities.” Your piece could develop an air bubble as you center. You could collapse the whole thing as you do your first lift. It could deform as you take it off the wheel. It could crack in the bisque firing. Another student’s piece could explode in the kiln, destroying your masterpiece with shotgun clay fragments. The glaze could come out all wrong, and you are back to square one. As I go to class, I’ve been comparing pottery and writing. Thankfully, writing is different in a lot of ways. It’s far less final than clay, and you can always go back and fix something before it goes out to the next publisher. But I’ve also been seeing some of these pottery stages in my writing. Center. I take an initial idea and put it under a lot of pressure, twisting it this way and that, seeing if it’s something I like. I do this quickly, at speed, generating pages on pages of possible characters and plot points. If it works and can go on, I do so. If not, I scrap it and clear the wheel for the next piece. Well, actually, I put the raw materials into storage in case I ever want to try again. The captain is furious that only Fike survived the change. He rounds on the merchant, berating her. “You told me one man in ten. We took on thirty six men, and I only have one to show for it.” The merchant explains that it isn’t an exact process. She ponders that maybe these men from the north with the reddened skin don’t respond as well. The captain is angry because he could have sold the thirty six healthy prisoners. The merchant assures him that one changed man will sell for more than thirty six normal. She thinks that they will be the only ship with a coral man coming in this season. The captain is angry still, but storms off. The men begin to bring the ship into a giant cove. In the setting sun, Fike can see the buildings carved into the side of the cliff that overlooks the cove. It is closing in on night, and the men will be needing sleep. The captain assigns the merchant to watch Fike. Lift. I start to transform that synopsis into an actual story in past tense, making decisions about dialogue, tone, and description. This takes longer, but faster than simply starting here, since I have something to work with and a clear vision for where I am going. Fire. I give this first version to some trusted alpha readers. They put it through the fire, revealing the cracks in my story. Thankfully, unlike wheel thrown pottery, I can still make changes. I can take the piece back and fix these things as if the piece was still soft. Glaze. I take the feedback and use it to refine the story. Then I start polishing, adding details or smoothing out rough edges. Of course, after that comes the hard part. Submit, and as Heinlein says, write something else. Rachel asked me last night if the background picture was from Israel. As a writing group, we’ve been talking lately about the “Hollywood Formula” storytelling tool and how to use it to make our stories better. I’ll admit to being very suspicious of formulas, especially where fiction is concerned. To me it has always smacked of cookie cutter stories with no heart. But I’m always willing to learn something new. So I’ve been using some of the Hollywood Formula questions (more on those later) and have been finding that they help. I’ve started to think of the Formula less as an exact blueprint and more as a series of prompts, a guide to greater emotional impact. 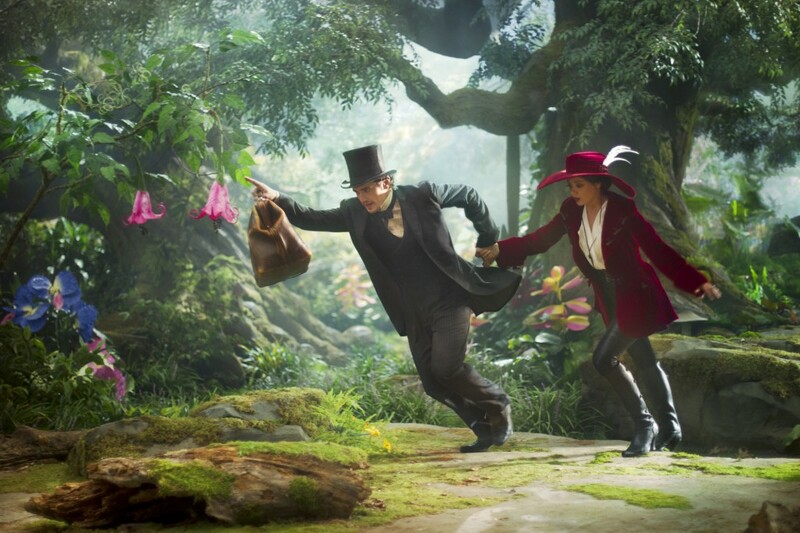 I came out of watching ‘Oz The Great and Powerful’ this weekend ready to walk away from the Hollywood Formula forever. We’ve got a lot of ground to cover! There’s three acts, you know? Let me explain first that there seem to be two minds about this movie. Some reviewers love it while others call it “soulless.” In my theater we had both views. I didn’t enjoy it but a good number of people around me were laughing. I can only imagine this was their first movie, otherwise they would have noticed that the characters and dialog had been cribbed from other, better films. The main problem with ‘Oz’ is that it wants emotional impact but doesn’t want to work for it. Along the way, the characters aren’t given enough struggle, enough depth, enough sacrifice to make us care for them. Ultimately, the movie is paint by numbers. The “huckster who becomes a hero” story plays out exactly as it does in every other movie that uses the trope. Disney showed no willingness to inject any new magic or originality into that plot. In fact, the most interesting thing in the story are the villains, who get more creative thought between the two of them than the rest of the movie combined. She seems interesting. I hope she wins. 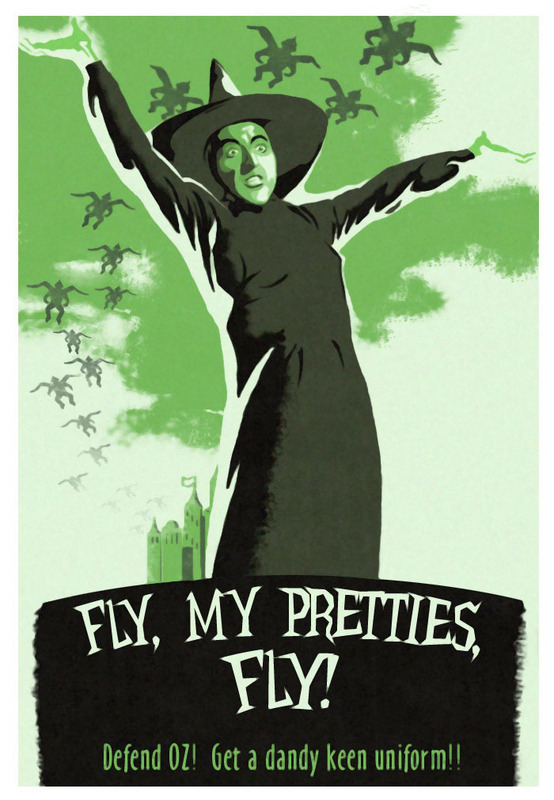 By the end of the movie, I was rooting for the witches, because at least I could sympathize with them. The final scene in the movie is particularly flat, with Oz giving an impassioned speech about how his friend the flying monkey was loyal when all others abandoned him. Maybe if the scenes of misunderstanding and loyalty had more lasting impact than a Tic Tac, I would have cared more. So, I walked out disgusted with Hollywood. But I realized that the problem with ‘Oz’ isn’t the Hollywood Formula, it’s poor execution. One of the key points of the Hollywood Formula is that the protagonist needs to have a goal that is compelling and concrete. James Franco’s Oscar Diggs wants to be “a great man, not a good man.” That’s certainly not concrete, and as we watch Franco settle for gold or for girls, we realize that he isn’t even all that committed to his goals. If he can’t be bothered to care about them, why should we? The Hollywood Formula also separates the story into three acts with distinct beats. Oz hits all of these beats, but perfunctorily, because they are required, not in any way that builds the characters. The movie is more than two hours long, but spends that time on visual candy. I think the lesson for writers is this: The Hollywood Formula is not a series of boxes to be ticked. It’s a helpful set of questions, but you as the writer have to own the answers. I can only hope that Disney’s treatment of the new Star Wars movie is more careful. If it is anything like this Oz, it will be devoid of story and instead be a glitzy CGI showcase calculated to rake in the most money from the widest possible demographic. I mentioned on Tuesday that the fantasy world I am creating is actually more a “science fantasy.” What that means for my story is that the “magic” in the Island Kingdom is called magic only because it isn’t well understood. It’s so far beyond it’s time, beyond the technology needed to see or understand it that it looks magical, unnatural, the same way we used to see chemical reactions or plagues. If the inhabitants of Cahuatlan had access to microscopes and Geiger counters, they would find terrible explanations for the mysteries surrounding them. The point behind science fantasy is well explained by game designer Monte Cook. He says, and I agree, that giving fantasy a scientific explanation places limitations on it, and paradoxically opens things up for the storyteller. There are real physical, cellular level reasons for both the costs and the abilities that come from these transformations. The initial response to the transformation is fever, weakness, and a yellowish froth at the mouth. This is fairly universal across the different kinds of transformation. Those that don’t survive die of heart attacks, pulmonary embolisms and strokes. Those who study transformations in Cahuatlan are digging into just what these things have in common. Obviously, I can’t just be working on one thing. What happens if I get bored? So, in addition to my Chicago crimeland mystery, I am also creating a fantasy. Actually, it’s more of a “science fantasy,” but more about that on Thursday. If you read fantasy, you know that since Tolkien a good deal of it has been heavily infused with European themes. You can call me Sven Olafson. That’s not a bad thing, per say. 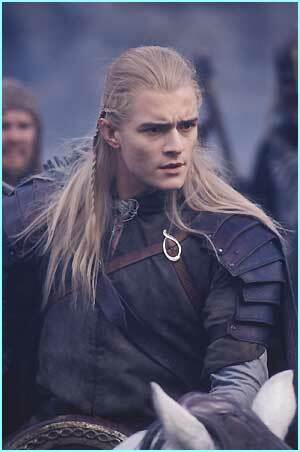 Tolkien was explicitly trying to expand on Norse and Germanic mythology and does a wonderful job of it. But, too many fantasy stories since then have simply trotted out the same elves, dwarves, and orcs with slightly different names. The European myths have been retold and borrowed from so often that they need a break before we can write them fresh again. Fantasy doesn’t need to be tied to Europe, though. Forest Mage has a Native American feel, Throne of the Crescent Moon brings to mind Arabian Nights, while The Long Price Quartet is distinctly East Asian. Taking a cue from those books, the world I am creating combines elements of Polynesian, Incan and Japanese cultures. And because I am a RPG fiend of old, I have created a map to spur my creativity. An island kingdom with dark secrets. From Polynesia, I take the geography which created a rich variety of cultures, related, but each with it’s own distinct customs. 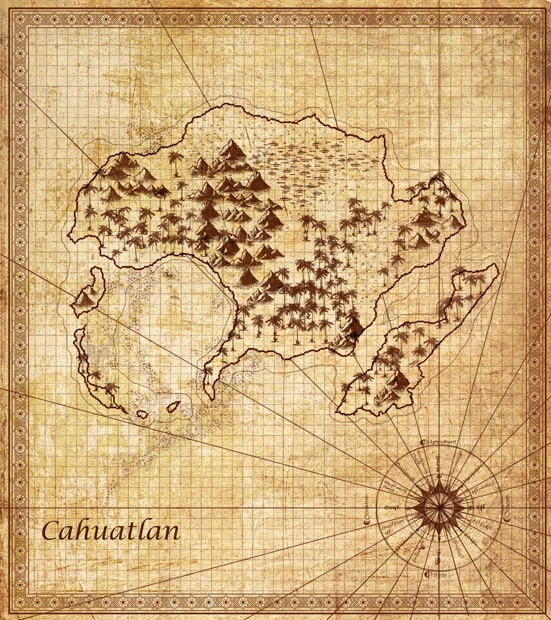 I’d like to represent that in the book by having the book center around an Island kingdom made of a hundred of small islands spread out over a distance, each with some uniqueness but all bound by the same law. From the Incans, I take the priestly class, the power they held and the rituals associated with it. That religious system will play a major role in this world. From the Japanese, I take the value placed on tradition and a more long term orientation. 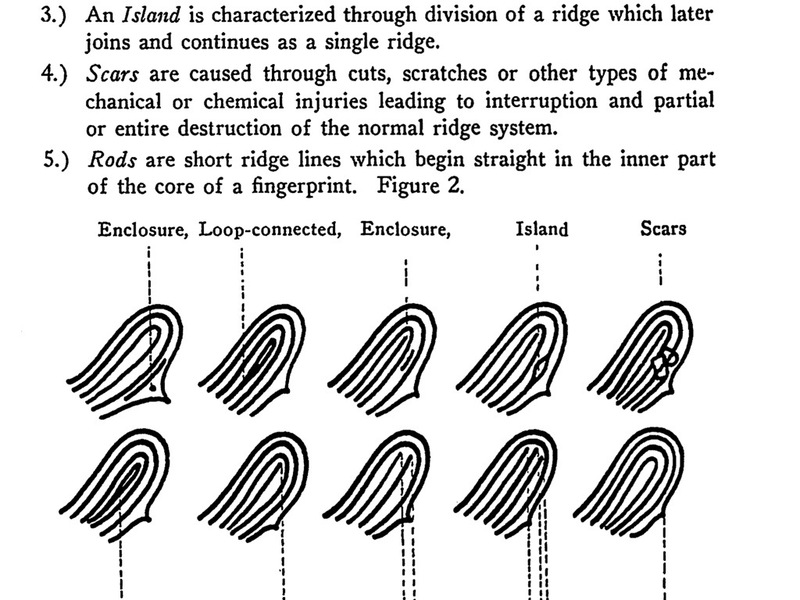 All of these of course will be shaded and varied in different ways across the hundred islands. 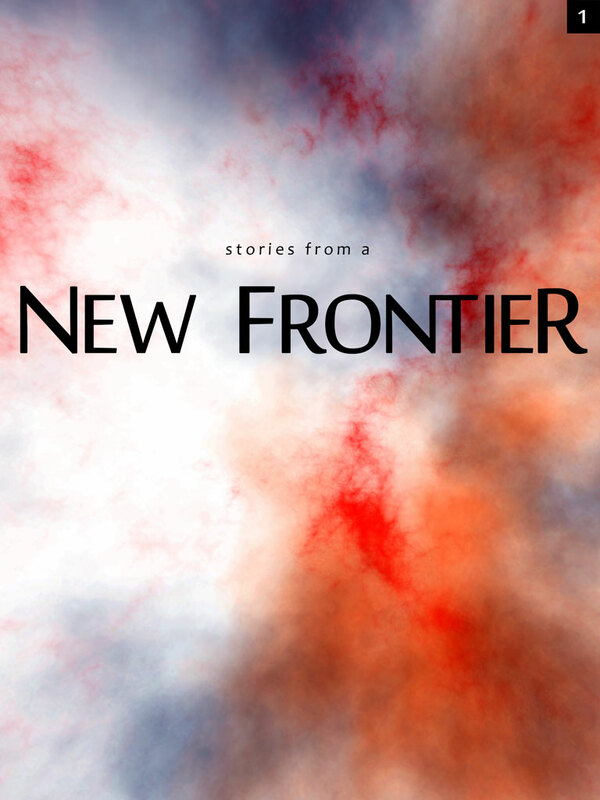 Right now, I am dabbling with a short story to see if I like the world enough to write a whole novel in it. Stop back by on Thursday for an explanation of this “science fantasy” thing. As promised, a snippet from Dreamers Perish. Anelie saw the courier before he arrived. She sat on a cushion in the bay window of the unfamiliar home, rereading Uncle Karol’s letters. Somewhere she hoped to find anything that would tell her what had happened to him, what had gone wrong. Occasionally she glanced out at the people walking under the streetlights in the cold October rain, almost hoping that her uncle would materialize out of the dark. Back in Boise, it was rare to see so many people out on the streets at night. Here in Chicago, she saw the victims of what Hoover was calling a “depression” on every corner, holding out hands and empty buckets to passers by. The man wore a long gray trenchcoat, his face hidden under a hood that was dripping water. When he stopped on the sidewalk and looked up at cousin Janus’ house, Anelie inched forward on the cushion, her breath fogging the window. There was something about the way he held himself, something in his broad shoulders and stance that was familiar. He mounted the steps and opened the trenchcoat, taking from under his arm a flat package. For a moment, he just stood there, looking at the house, rain darkening the brown paper wrapping. He knocked. Anelie jumped off the bay seat, rushed out of the bedroom and down the stairs. She hurriedly unlocked the door and stood on her toes to undo the deadbolt her mother had insisted must be used while she was away. She opened the door to a burst of cold, wet wind and goosebumps popped up on her bare arms. The man was standing as far under the overhang as possible, getting only scant protection from the downpour. He stepped slightly into the light of the doorway and Anelie studied what she could see of his face. She let out the breath she had been holding and her shoulders sank. Anelie signed the slip, took the package from him and shut the door. Nothing about Chicago was what she had hoped when she dreamed about coming back. The two years she had spent in Idaho were like an exile, and Uncle Karol had been Anelie’s link to the outside world. He sent letters faithfully every week, letters that Mother preferred to narrate aloud. Later, Anelie would sneak out of bed to read the letters by candlelight, and she would notice things that Mother left out. Uncle Karol wrote honestly about Chicago. Not pretty, but true, thought Anelie. Once he had told about a friend who had lost his job at a meat packing plant. Karol had taken him to a diner, bought him a meal and tried to assure him that there were still jobs in the city. It was true, but you were better off if you had some kind of skill or experience. All the entry level jobs were long since gone and men with college degrees were working at the grocery or on the construction line. A week later, his friend’s wife woke to the sound of his car in the shed. The motor was running, floorboards removed, the exhaust stuffed with a wet rag. His body was inside, cold to the touch. Mother had skipped that story. Karol had been helping fellow immigrants who had just moved to the city to find some place to stay and work. In the last letter, Karol had said that he’d met a philanthropist, a rich industrialist from the old country who wanted to fund purchase of a home for Polish immigrants. It was in disrepair, but he had plans to transform it into a place for people to have a community together. Mother’s eyes had lit up that night as she talked about moving back to Chicago to help her brother clear out the building and renovate it. Anelie remembered the excitement, the plans, laughing as they talked about sharing a room with Uncle Karol, Mother imitating the great rattling snores he made when he slept. The next week, in place of a letter came a telegram. The text was short. REGRET INFORM YOU YOUR BROTHER K. ZELAZNY DEAD. PLEASE RETRIEVE PERSONAL EFFECTS IMMEDIATELY FROM DISTRICT 17 POLICE EVIDENCE LOCKER, PULASKI RD CHICAGO. No more detail than that. Anelie refused to believe it. The telegram didn’t even say how they knew it was him. And how could they? How could they know? They’d confused him with someone else, mixed up their names and identified some unfortunate homeless man as her Karol. A few days later, Mother had called father’s cousin, Janus, and asked if it might be possible to stay at his house in the outskirts of Chicago until they could find something more permanent. Twelve hours later everything they owned was on a train heading east. Anelie took a moment to look at the package. She turned it over using both hands, squeezing it lightly to get the feel of it. It was a full three feet long and two feet wide, maybe the size of an newspaper that had been unfolded. Underneath the wet brown paper wrapping it was stiff and unbending. Mother’s name and Janus’ address had been written in all capital letters on the paper. Anelie caught her breath. In his letters, Karol had occasionally slipped into a habit of writing in all uppercase, especially when spelling out names. The only cursive script in each letter would be his signature at the end. She suppressed an urge to tear open the paper on the spot. Instead, she set in on the end table and then locked the door and threw the deadbolt. Mother and Janus had left for the police station an hour before, and Anelie didn’t expect them back before bedtime. She carried the package back upstairs to the bay window and sat. She carefully unfolded the brown wrapping, making certain not to tear it or leave a mark on it that she couldn’t undo. Inside, a second layer of cloudy waxed paper covered a broad, thin book. A faint smell of rubbing alcohol wafted up to her as she removed the book. It was slim, and looked to only hold a few pages of heavy white paper. She opened to the first page and her goosebumps raced back as she took in the words. In the center of the large ivory white sheet, a brief message was written in dark pencil. She blinked and read the line again, searching for some additional explanation. There was none. With trembling fingers she turned to the next page. An intricate black and white drawing filled the space, depicting a room with high vaulted archways and a ceiling with repeated ribbed domes. Those same arches swept down to pillars with finely carved caps. From the ceiling hung a multi-leveled chandelier, tilted crazily at an angle. Two aisles of benches lined the floor. Pews, Anelie realized as she looked closer. This was a church or maybe a cathedral. In front of the pews was a raised altar. A pulpit lay cast on its side, top broken off and lying on the floor. A chipped and scarred stone angel presided over the altar, right arm and wing missing. Anelie had never seen a drawing so meticulous. Confused, she turned back to the page before, and then fumbled for a moment looking for a page in between the stark message and the beautiful drawing, but one immediately followed the other. She turned the page again. On the third sheet, the artist had done nearly the same drawing, but a wash of color drew her eye. A smear of dark crusty red ran down one of the pillars. Anelie followed the smear down to the base of the pillar in the drawing. There, the artist had sketched a slumped, crude figure in contrast to the detail of the architecture. Instead of recognizable features, the figure had an oval for a head, a rounded rectangle for the torso. It sat against the base of the pillar, primitive legs splayed out. In the center of the oval head was a small red dot, and the smear on the pillar stretched down to become a red blotch spilling out on the floor. 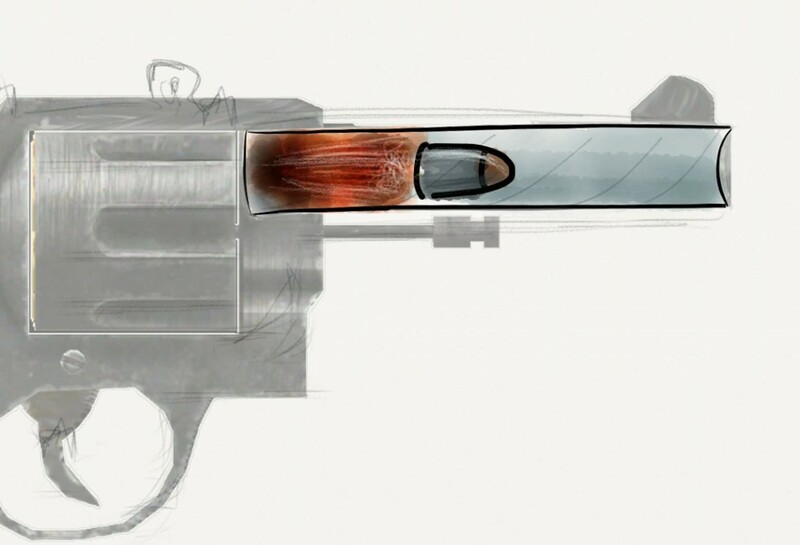 In the figure’s circle hand rested a gun.